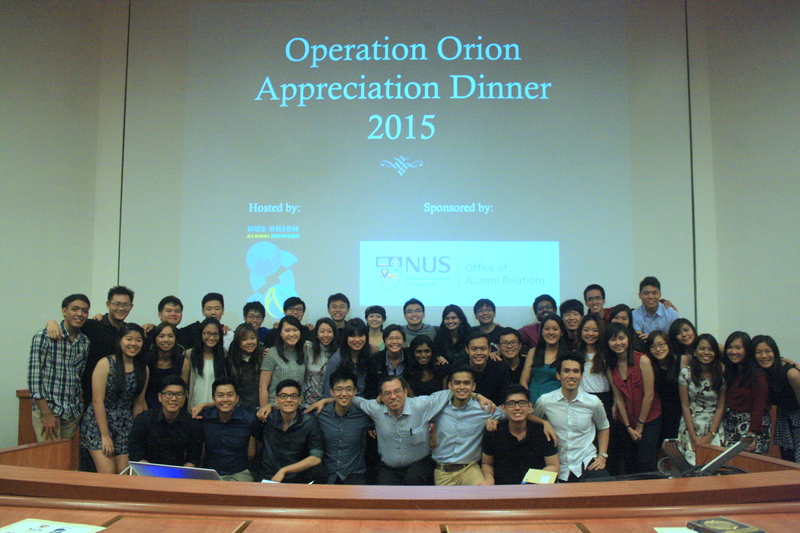 Last weekend, NUS Orion Alumni Network organized the Orion Appreciation Dinner to celebrate the success of Operation Orion’s 15th Expedition! Past Orion members also came down to see and hear about what the 2014 committee has done during the trip and awards were given out to the past committee as well! 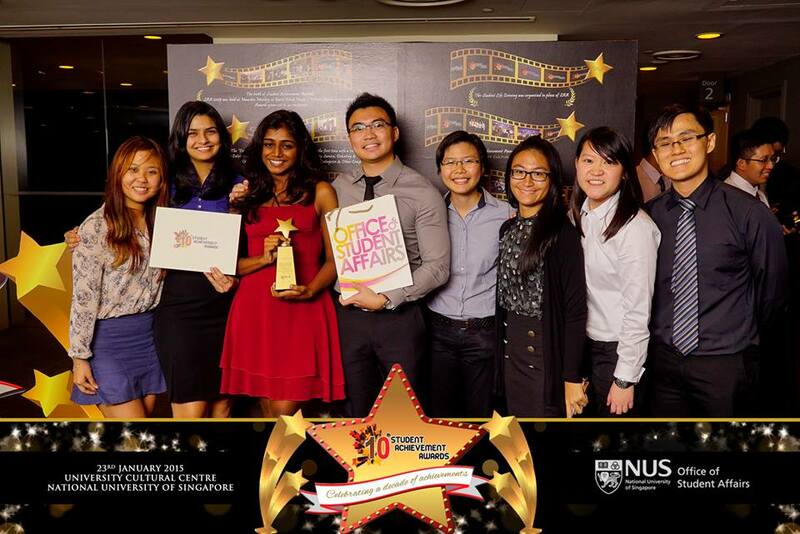 Wondering who are the lovely seniors behind the success of the previous expeditions? Here they are! Here is a photo of us all. There is still more great news to come. 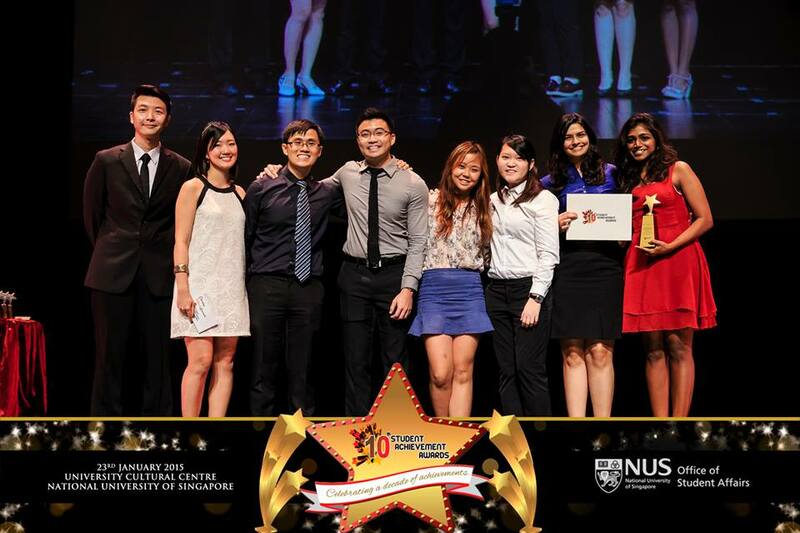 At the 10th Student Achievement Award (SAA) 2015, Operation Orion 2013 was awarded the GOLD AWARD for Community Service Projects! Only 4 out of more than 20 projects were awarded the GOLD Award. 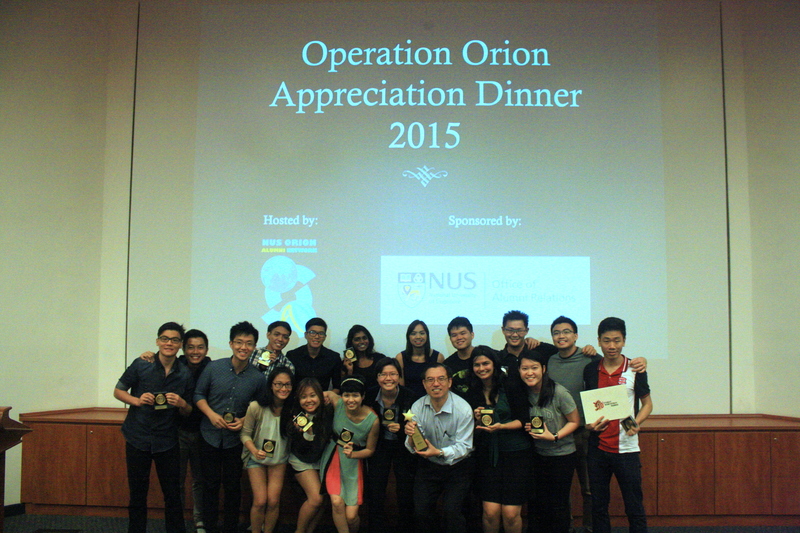 Here are the leaders behind Operation Orion 2013, receiving their well-deserved award and maintaining Operation Orion’s Gold streak! 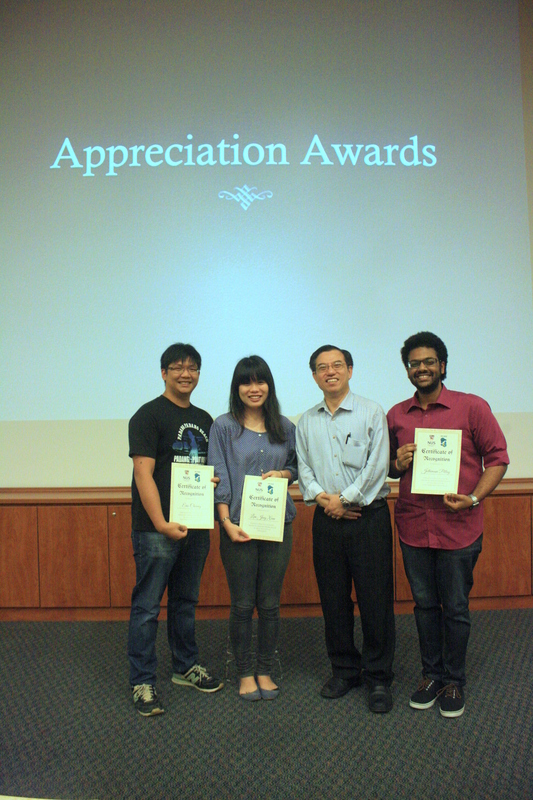 While celebrating the success of the past committees, a new and upcoming committee emerged as well. Seems like there are big shoes to fill, but everyone has confidence in Operation Orion’s new leaders. 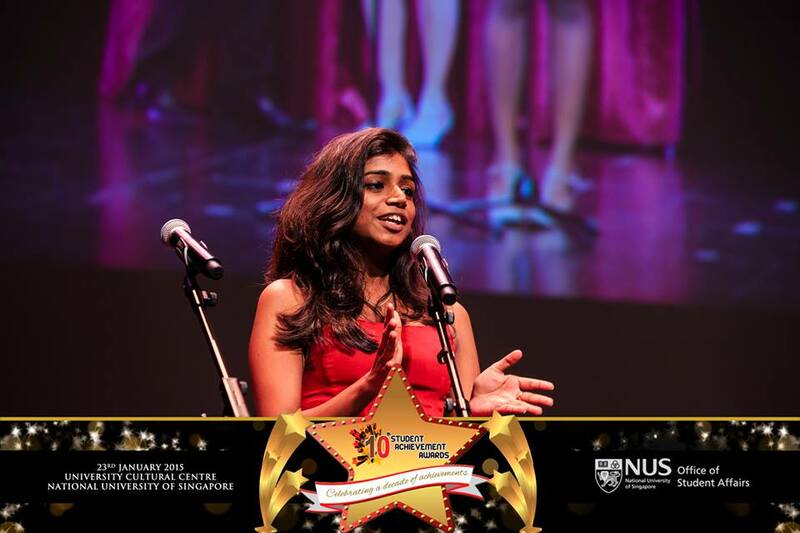 As the 2014 committee’s term comes to a close, we would like to thank NUS Orion Alumni Network for their support, advice and for organizing the Appreciation Dinner. Let us all look forward to what Operation Orion 2015 brings!